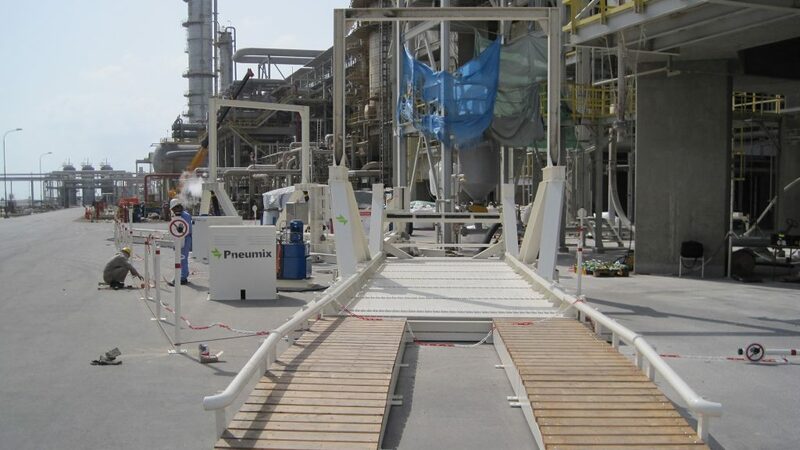 This model can be used when embarking area is equipped with proper overhead (gantry) crane or reachstacker. 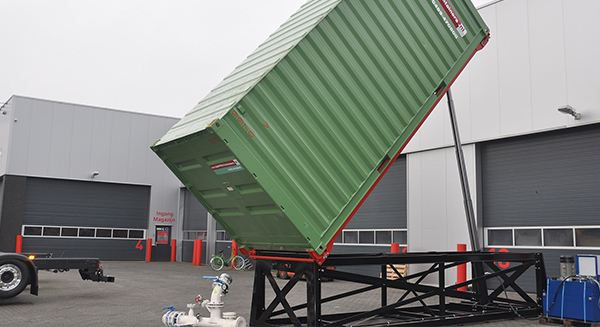 Tilters are built to accommodate 20’ or 40’ trailers for 20’containers while locked to the chassis. 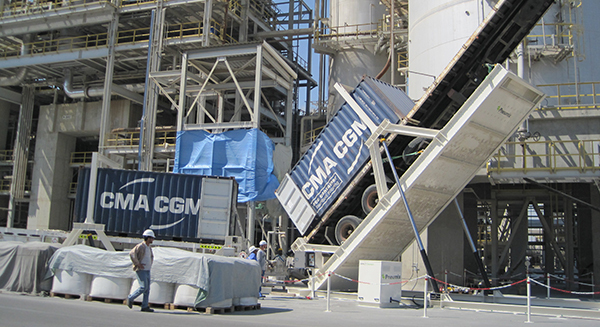 Semi-portable or permanent models allow the tilter to be installed at new or existing facilities. 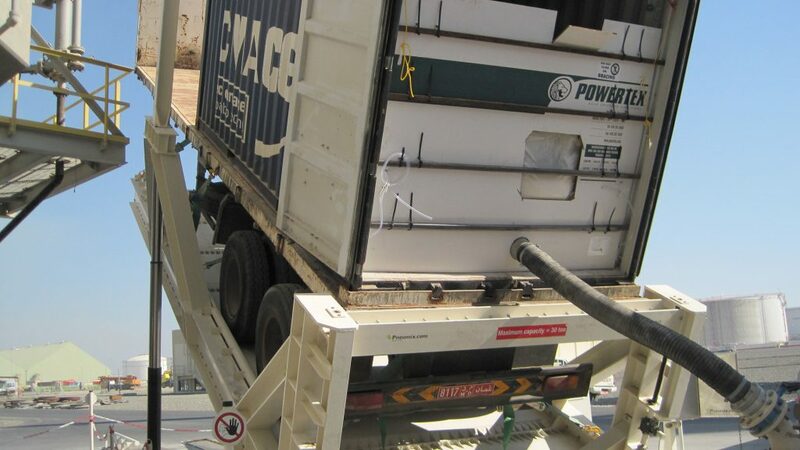 As you may or may not know, shipping goods internationally can get to be incredibly expensive, but there are ways to save money while ensuring your goods make it from point A to point B on time and intact. 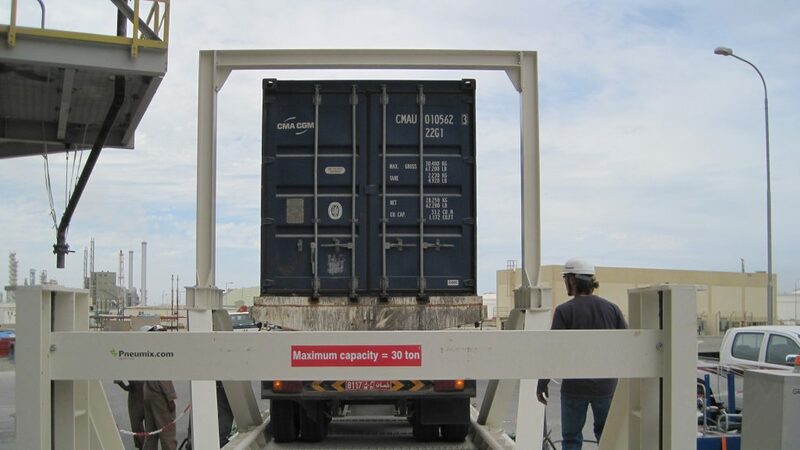 Reduce your shipping costs by transporting bulk in sea containers. 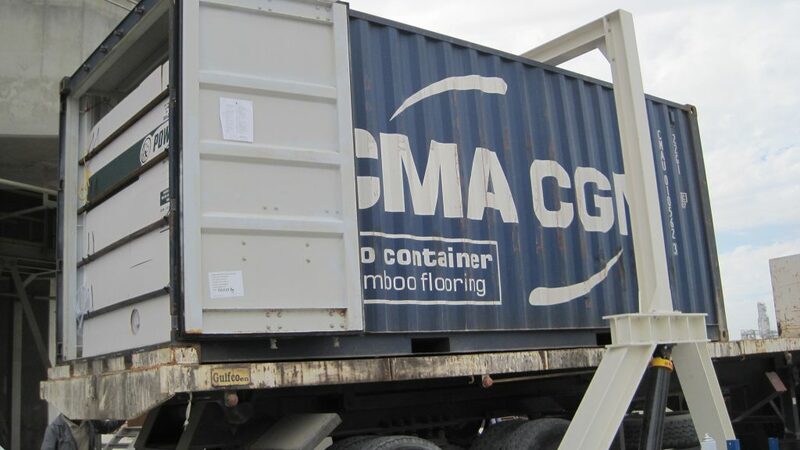 Shipping bulk materials in full sea containers is always the cheapest way to transport. 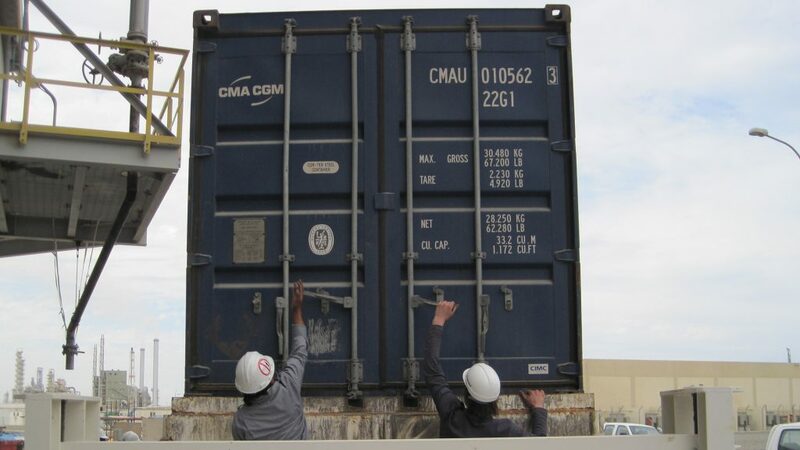 But how to load and unload these containers can be a challenge. 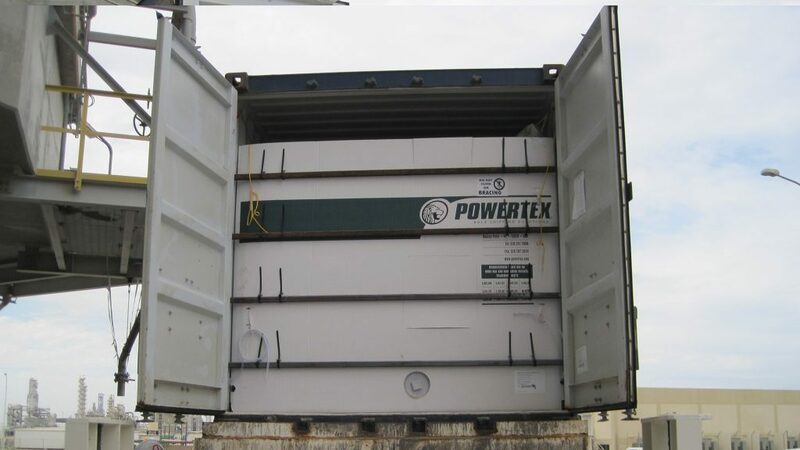 Fine bulk materials are often shipped with 20’container with inner synthetic liner which encloses the bulk material. 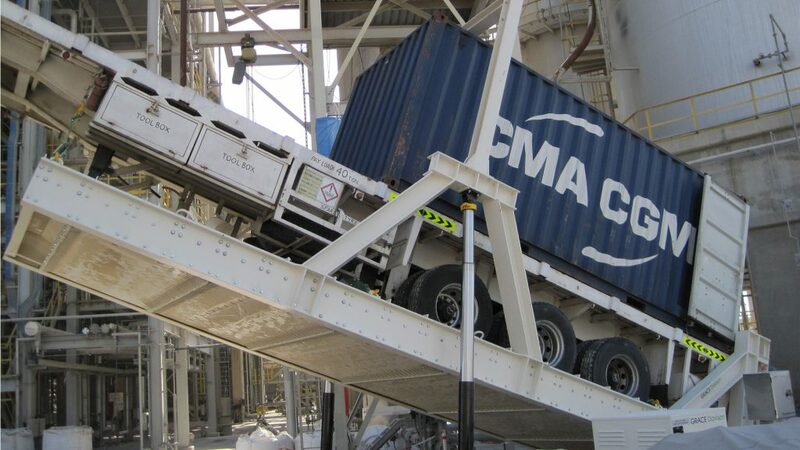 To fill or empty the bulk at embarking location the container should be tilted. 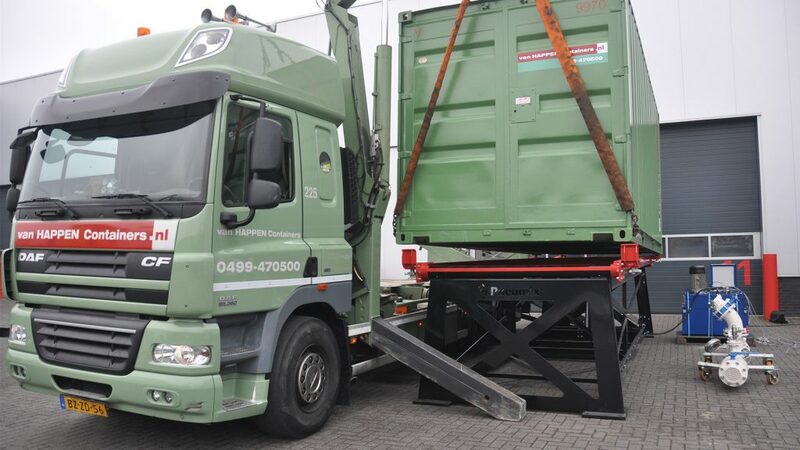 When the availability of container tipper trailers is limited or not available other ways to tilt the container must found. 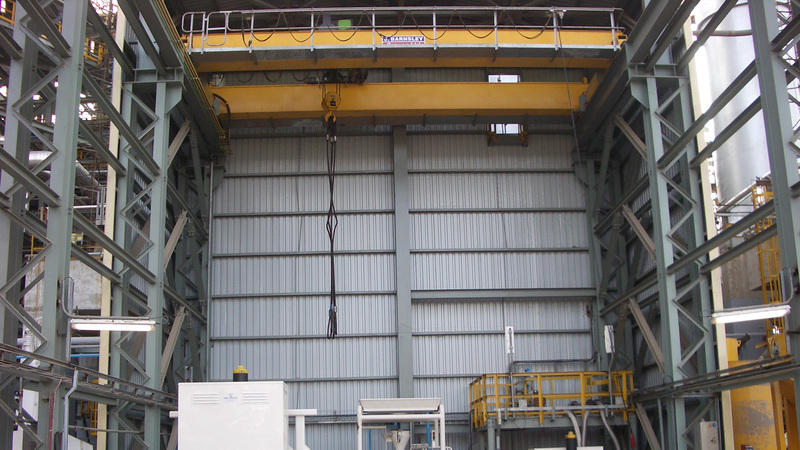 This model can be used when embarking area is equipped with proper overhead (gantry) crane or reachstacker or side lifter. 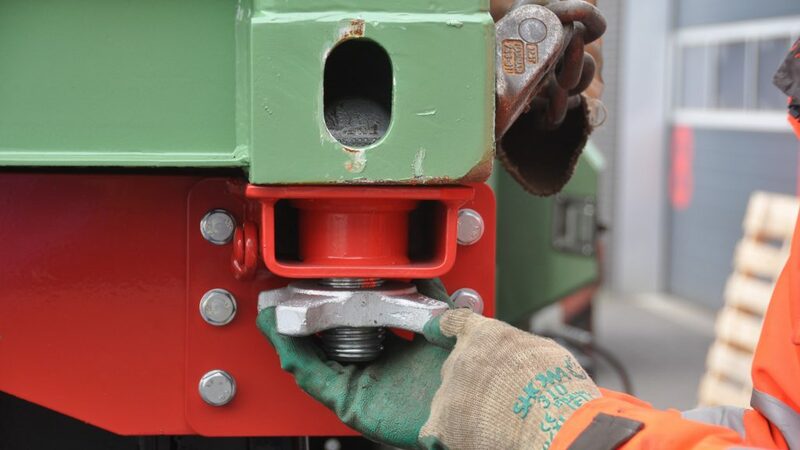 Tilters are built to accommodate 20’ or 40’ trailers for 20’containers while locked to the chassis. 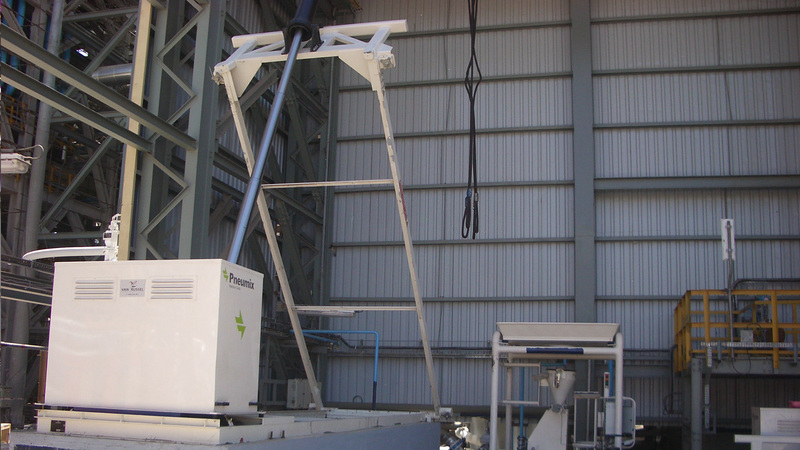 Semi-portable or permanent models allow the tilter to be installed at new or existing facilities. 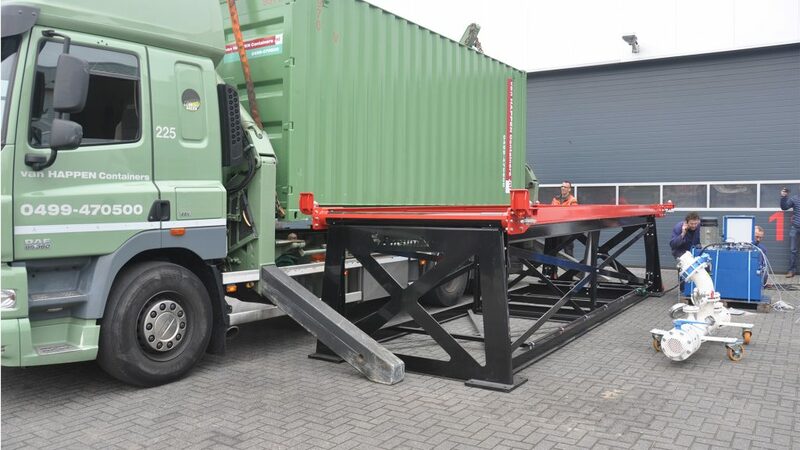 This solution will give the utmost flexibility to the logistic supplier since different kind of trailer chassis (flatbed) can be tilted. Tilters can be set up to elevate up to 65 degrees. 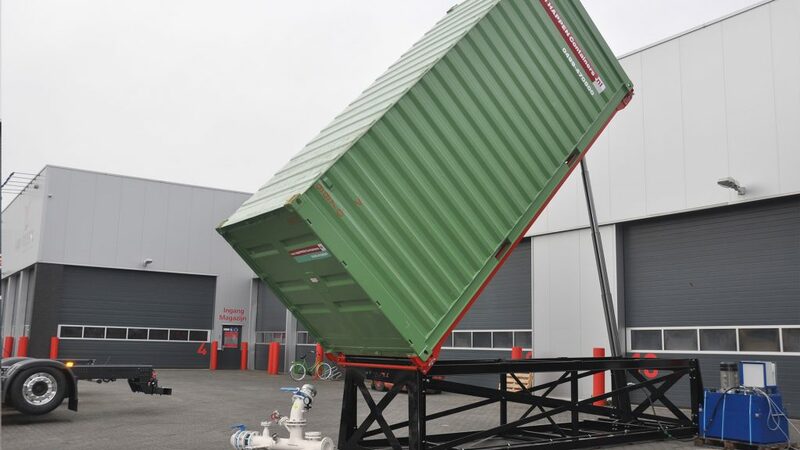 The container trailer chassis is backed onto the tilting deck. After this the engine part will unlocked and can drive away. 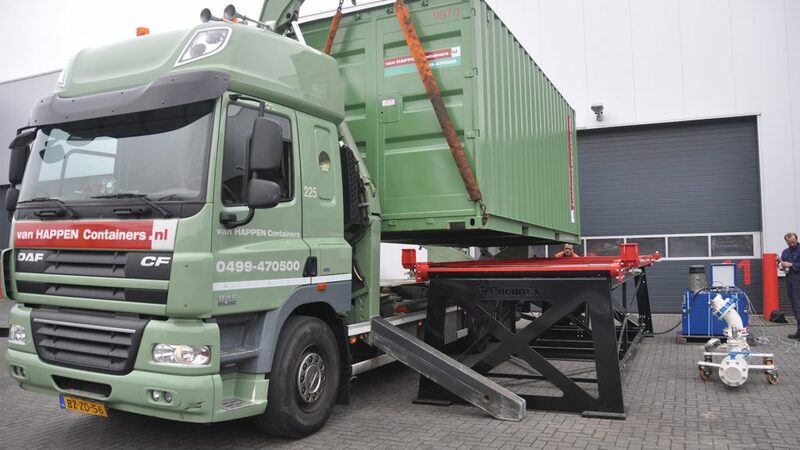 The trailer will be secured to the tilting frame and both flatbed trailer as the container can be tilted. 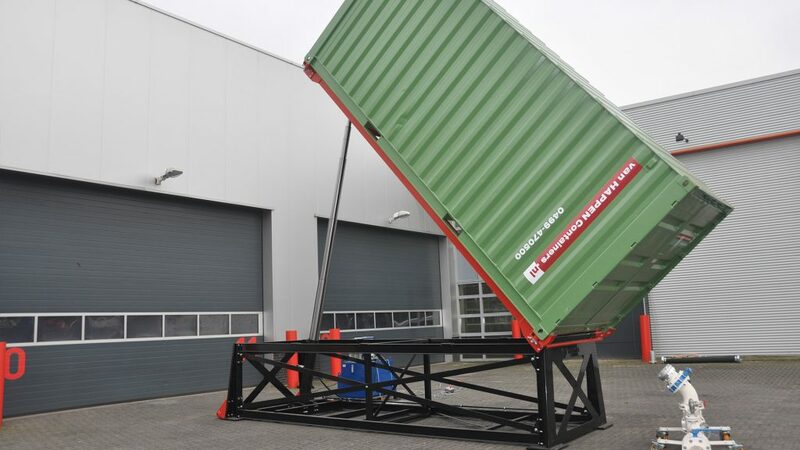 The container trailer tipper can be very easily installed on a level concrete floor with adequate strength. If you want more information or you have any questions please contact us. 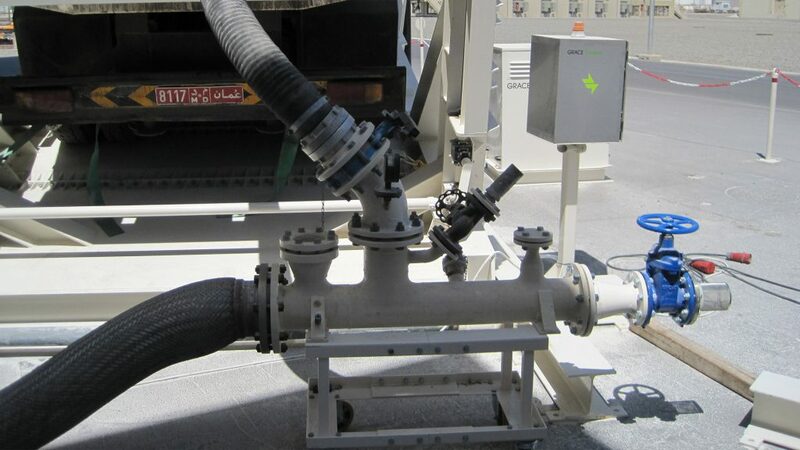 The last 25 years Pneumix has designed all kind of equipment for optimising BULK handling of FCC Catalyst , Additives , fines or spent fines for FCC refiners. 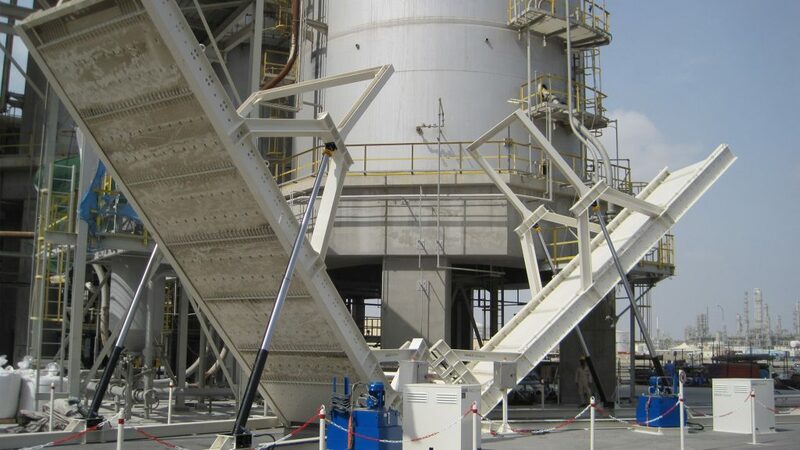 Pneumix is by far the most innovative manufacturer of bulk handling equipment in the world. 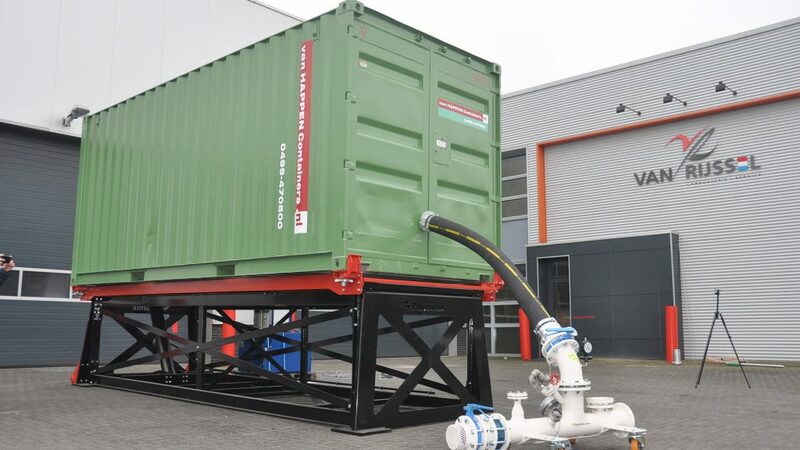 For locations were Catalysts is mainly supplied in 20′ containers. 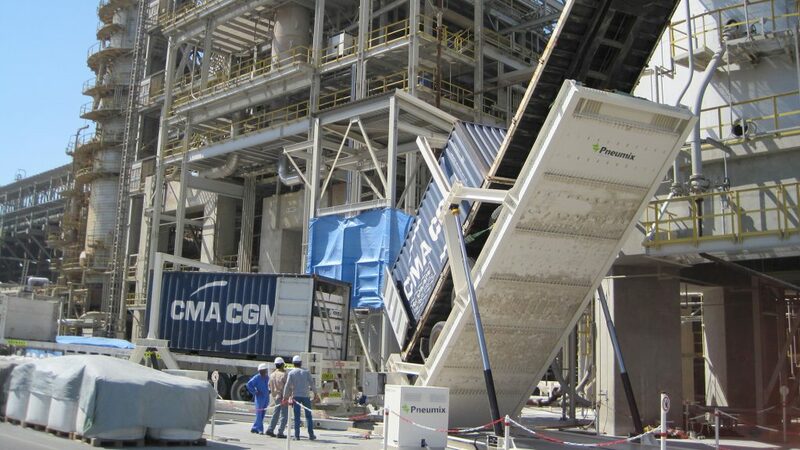 In order to safely and efficient unload these containers Pneumix can provide complete bulk handling packages. For all questions, problems etc. Copyright 2017 Pneumix Container Tilting Solutions.